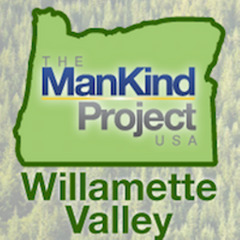 Hosted by Willamette Valley M.
How do I show up in the world? What blocks me from achieving my dreams? How can I become a better partner, son, father, brother, and man in the world? All men are welcome to bring themselves and their life experiences to this circle, where we truly learn from each other. Participation is completely voluntary, and confidentiality is paramount. We're not affiliated with any religious or political organizations -- all beliefs are welcome here. Circling is a practice that is most effective when everyone shows up fully present. Please arrive well rested, nourished, and with a clear and unaltered mind (this includes not having alcohol or cannabis beforehand). Please also note that this is not a therapeutic setting, and the facilitators are not trained counselors. If you have needs for a trained counselor, this practice should not be considered a substitute for any recommended care by a trained professional. If you signed up but are unable to attend, please make sure to update your RVSP status, even if it's last minute. If you end up on the waiting list, please check your status as the event approaches, as spots are likely to open up. Plan to arrive on time, as your timeliness helps ensure the flow of the meeting is not interrupted. Please stay for the full duration of the event. If you have a conflict that requires you to leave early, inform one of the organizers prior to the start of the event. • If you have any questions or concerns, please do not hesitate to ask one of the organizers. TO REGISTER: Please RSVP on Meetup to reserve your seat and to help us to plan for the group. Please change your RSVP if your plans change!